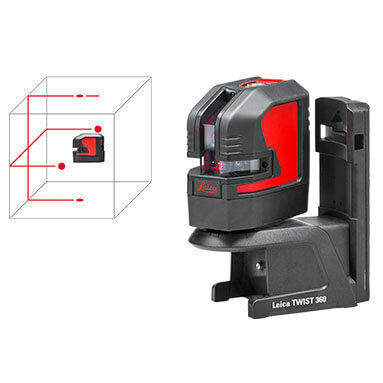 Cross line and point laser - The Leica Lino L2P5 is a a self-levelling cross-line and point laser. 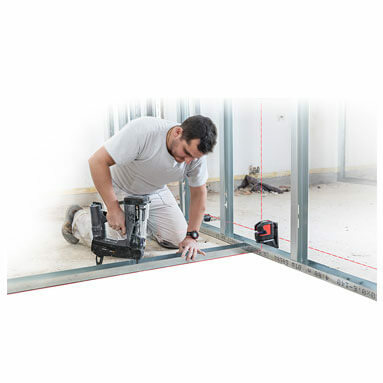 This Lino is ideal for alignment tasks such as tiling, dry-walling, partitioning and electrical installations as well as plumb point projection, setting out or transferring measured points. Working range - Leica optics enable the Lino L2P5 to project very bright and clearly visible laser lines and dots. Depending on the lighting conditions, the working range is up to 25 metres. This range can be easily extended up to 80 metres by using the laser receiver. 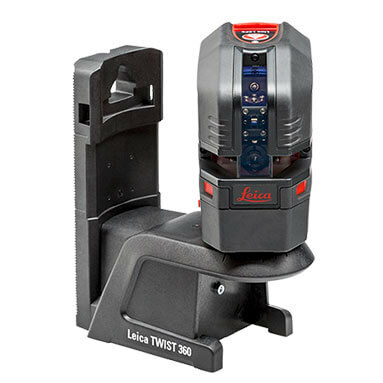 Magnetic positioning - The new Leica L2P5 has magnetic adaptors which allow you to position the instrument quickly and with absolute precision. You can easily attach it within U-profiles, to edges, or any magnetic surfaces. 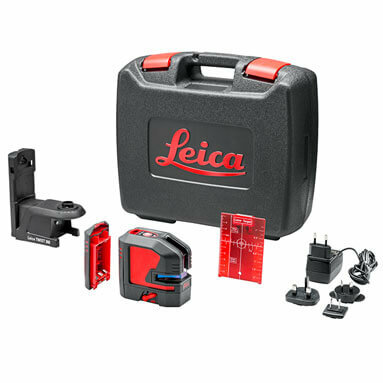 Self-levelling - The new Leica Lino L2P5 is a self-levelling cross and line laser. This means it automatically adjusts its positioning up to ± 4° when slightly out of level without any manual alignment. Triple power concept - The Lino L2P5’s triple power concept ensures an uninterrupted workflow. You can power your laser by using rechargeable Li-Ion batteries for up to 44 hours on one charge. Alternatively, you can use Alkaline batteries, or simply its charger. Rugged design - This laser level is dust and spray water protected to IP 54 standards. This makes it a rugged instrument suitable for all jobs. Package includes: Lithium battery pack, hard carry case & Twist 360 adaptor.